If you’ve seen his amazing “maze” last year, this will be a new variation on his work with light and pattern. Antoni Maiovvi creates hyper-cinematic electro-disco. 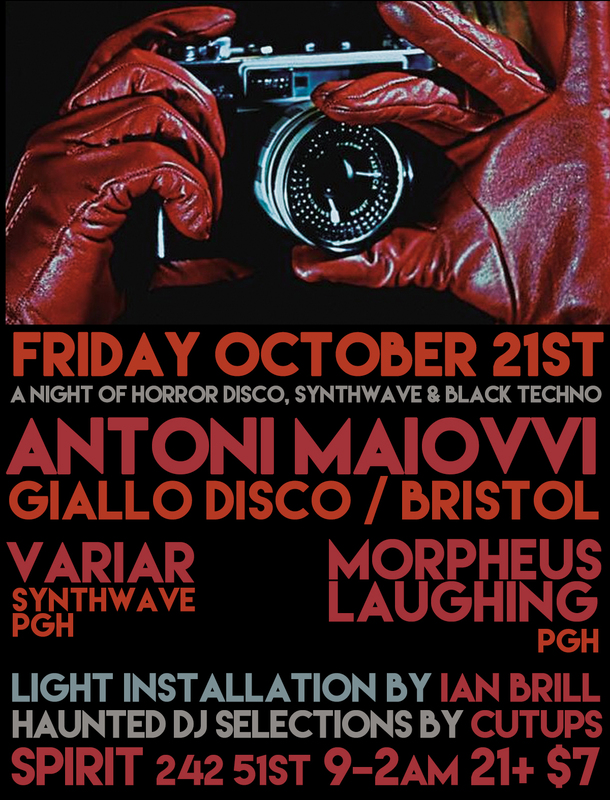 He is also the co-owner of Giallo Disco Records, a limited 12” label that is currently the only home for Euro-Horror inspired dance music. His first official film score was written for the film Yellow, a horror short set in Berlin, which despite such small beginnings has made the official selection at such prestigious events as Film 4 Frightfest, Sitges 2012, Berlinale and Cannes. The OST was released on 12” through Death Waltz Recording Company, sharing a roster with John Carpenter, Fabio Frizzi and Steve Moore.